Asphyxiation Danger sign or Danger of suffocation. 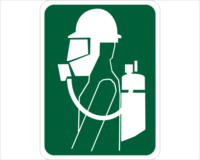 We have another sign (D10300) for respirator. 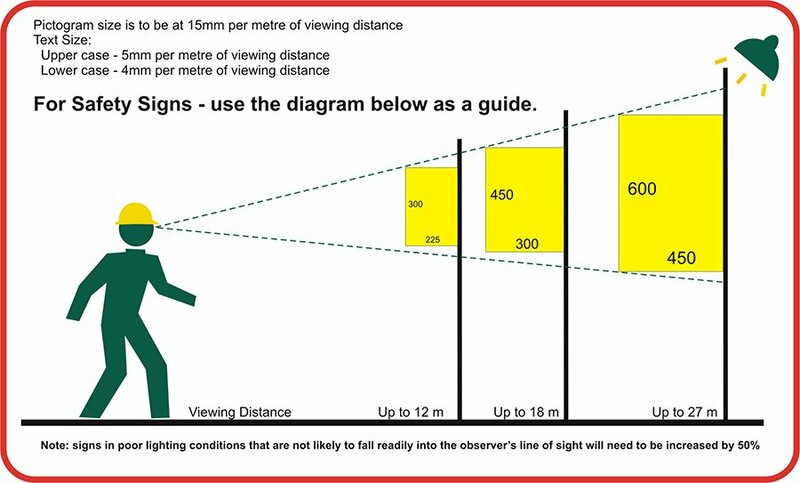 For better visability we recommend you order this sign in Class 2 reflective. 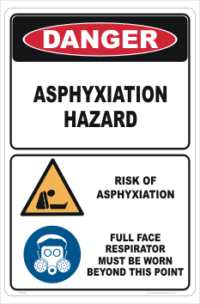 When there is a risk of suffocation an Asphyxiation Danger sign should be used. 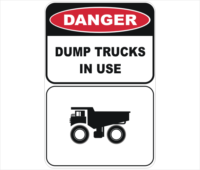 This Sign is part of our Danger sign range, used to warn of the danger from lack of oxygen or from obstructions to air passages. 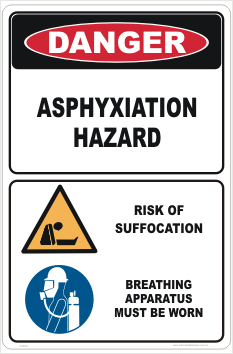 These asphyxiation risks can be found in confined spaces (Silos, tanks, boilers etc.) Breathing fine dust, such as cement can cause suffocation. You should also use where Nitrogen and CO2 etc. are present in confined spaces.